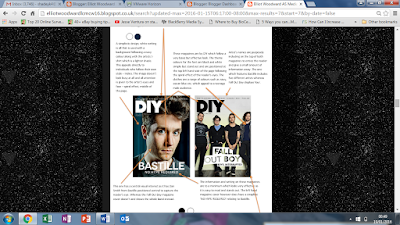 So far I have researched similar magazines within my genre which I have decided on. 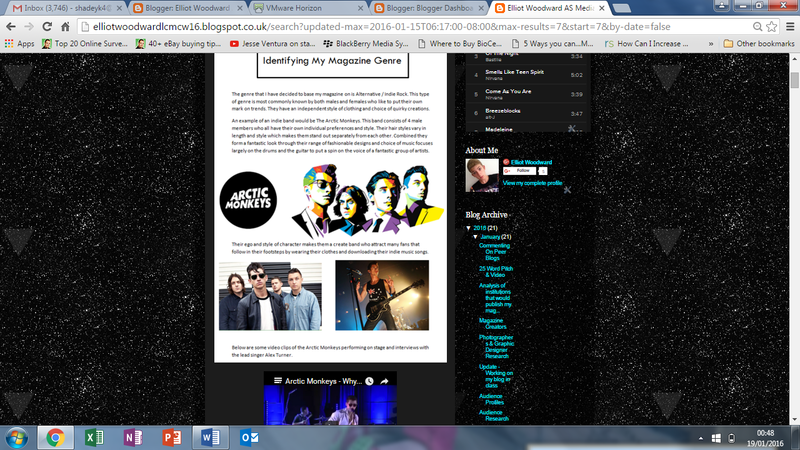 This is indie/alternative/rock which follows a simplistic eye catching design. 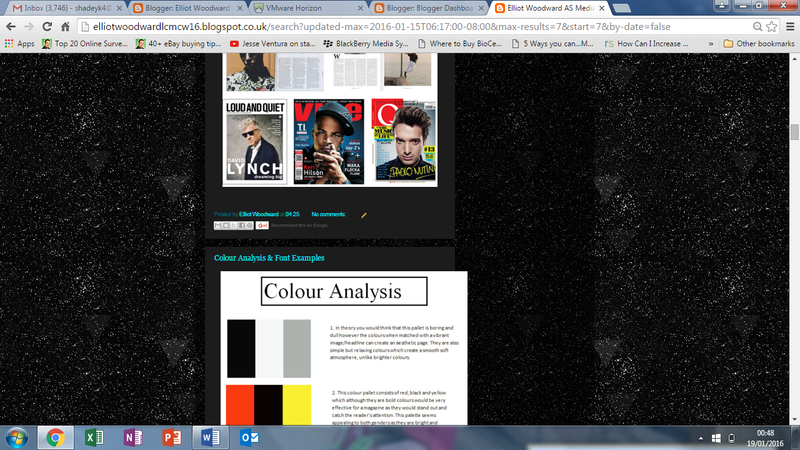 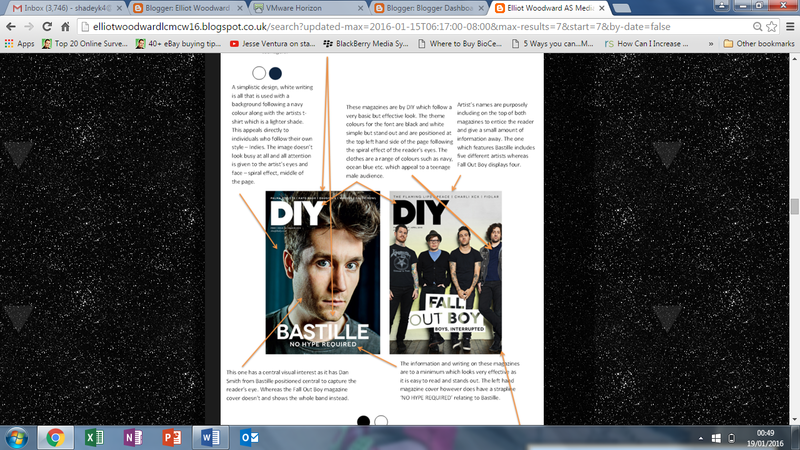 I have also looked at different colour combinations and fonts which would be relevant to use for my magazine.